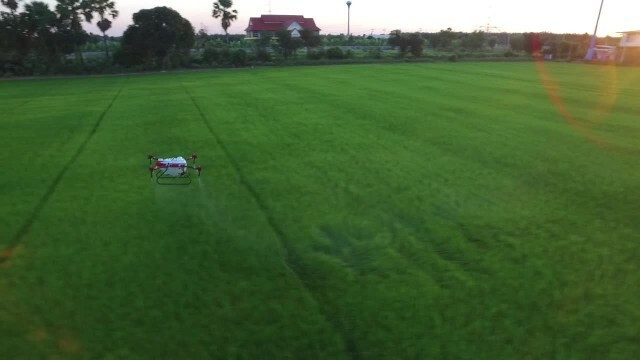 Eagle Brother's 12 liter multi-rotor drone sprayed pesticide on rice fields in Thailand. The drone is a smart sprayer of chemicals. It has four nozzles with independent front and rear pair spraying function to reduce pesticide consumption but effective enough for pest controlling.